A review of The Golden Dawn Source Book with introduction and foreword by Darcy Küntz, preface by R A Gilbert, with articles by Gerald Suster, R T Prinke, Ellic Howe, and Richard Kaczynski, part of the Golden Dawn Studies series; from Caduceus, Vol II No 4. 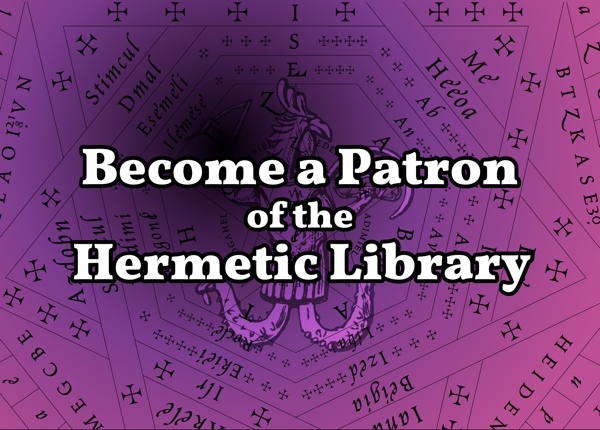 For all that the Hermetic Order of the Golden Dawn is far and away the most famous of modern magical lodges, the basic documents concerning its history have not been easy to come by, except for those with personal access to the handful of private collections in which the bulk of surviving GD documents reside. While the outlines of the Order’s history have been traced by a number of useful histories, very little of a documentary nature has been available to those who prefer to draw their own conclusions from the evidence. The appearance of this second volume in Holmes Publishing Group’s Golden Dawn Studies Series suggests that this unfortunate state of affairs will soon be a thing of the past. Like the first volume (reviewed in Caduceus’ Spring 1996 issue), which provided and translated the original Golden Dawn cipher manuscripts The Golden Dawn Source Book is likely to become an essential starting point for all further work on the subject. The Golden Dawn Source Book has for its focus the origins and development of the Order, and brings together between one set of covers nearly everything that sheds light on this often vexed topic. Included here is the complete “Anna Sprengel” correspondence in its original English translation, relevant entries from W. Wynn Westcott’s diary, a wide selection of letters tracing the Order’s prehistory and history alike, the public letters and articles that announced the GD’s existence to the world, and a collection of published histories of the Order by a range of members. In addition, the Source Book contains a collection of modern essays on the Order’s early history, including contributions from nearly all sides of the various disputes in which the interpretation of that history seems permanently mired. Notable among these are Ron Heisler’s “Precursors of the Golden Dawn,” a valuable study of earlier Kabbalistic societies in London, as well as several documents from the controversy over Ellic Howe’s The Magicians of the Golden Dawn including Gerald Suster’s incendiary critique of Howe, “Modern Scholarship and the Origins of the Golden Dawn,” and Howe’s amused response. Finally, the Source Book concludes with a comprehensive, cross-referenced index of the names and magical mottoes of all known Golden Dawn members from the temples in England, North America and New Zealand, a crucial reference tool that has been attempted several times before with a good deal less success. Series editor Darcy Küntz should be commended for a valuable and well-presented work. 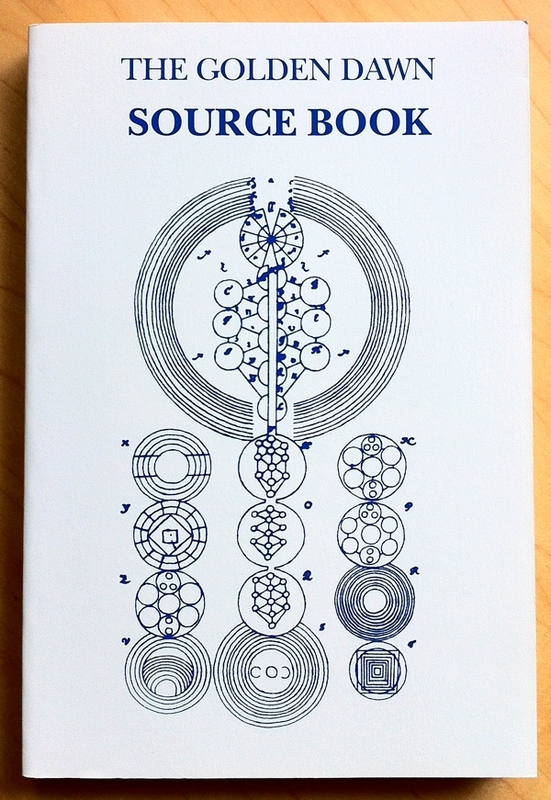 While it has little to appeal to the purely practical magician, the Source Book is a welcome addition to the still-limited library of sources on esoteric history, and students of the Golden Dawn and its antecedents in particular will find it a useful resource. 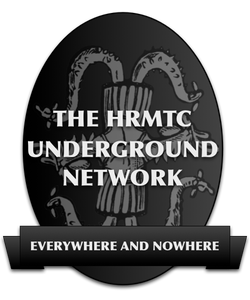 This entry was posted in The Hermetic Library and tagged book, caduceus, darcy kuntz, ellic howe, r a gilbert, R T Prinke, review, richard kaczynski, with articles by Gerald Suster on April 11, 2019 by John Griogair Bell. 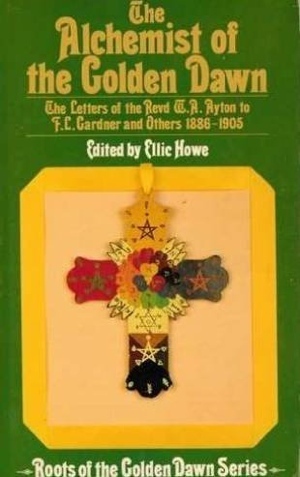 Hermetic Library fellow T Polyphilus reviews The Alchemist of the Golden Dawn: The Letters of the Revd W. A. Ayton to F. L. Gardner and Others 1886-1905 edited by Ellic Howe, part of the Roots of the Golden Dawn Series. This book edited by Ellic Howe is a sort of addendum to his Magicians of the Golden Dawn, and it publishes correspondence from the Yorke collection (and others) authored by the senior G.D. adept W.A. Ayton. The greatest body of letters are all addressed to F.L. Gardner, a younger magician for whom Ayton served as an alchemical mentor. Ayton and his wife were as active in the G.D. as they could be, considering their advanced years and residence in rural Chacombe, where Ayton served as vicar. Ayton had been a member of the H.B. of L., and (according to him) was instrumental in its discrediting. He appears to have accepted the mythopoeic “Rosicrucian” lineage of Westcott’s G.D. whole cloth, and to have contributed the authority of his years and researches to its inner order. Both Ayton and Gardner were active in connection with the Theosophical Society during Blavatsky’s London period in the late 1880s. Ayton’s principal esoteric interest was alchemy, and much of the correspondence is concerned with the lending and copying of secret manuscripts on this topic. The interest was not confined to armchair study, however, and Howe reports that the Reverend Ayton maintained a laboratory in the basement of the vicarage (to avoid detection by the bishop!). There are secondary accounts provided from W.B. Yeats that Ayton had lost to inefficient storage a supply of the Elixir of Life (11), and later “made what he hopes is the Elixir of Life. If the rabbit on whom he is trying it survives, we are all to drink a noggin full — at least those of us whose longevity he feels he could encourage” (109). Throughout Ayton’s letters to Gardner, there are anxious and adverse references to the B.B., which is evidently the “Black Brotherhood.” Howe is convinced, and repeatedly informs the reader, that “B.B.” refers to the Jesuits, and it may be that denotation that Ayton had in mind. However, I consider it something of an open question on the evidence supplied in the volume. Granted, Atyon is otherwise worried about “Papists,” and his 1904 and 1905 letters refer simply to the ill influence of “Jesuits,” without mentioning B.B. Still, the Jesuits could be subservient to a larger B.B., as they certainly are in some conceptions of esoteric politics. At the end of 1892, Ayton wrote to Gardner, “I congratulate you on obtaining the valuable work on B.B. Do not think I underestimate getting knowledge about their doings … They are plotting all the time” (73). 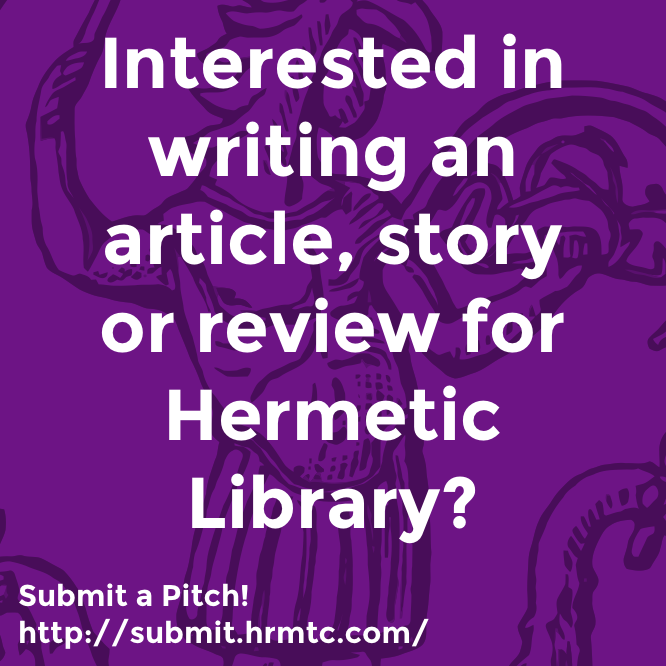 This entry was posted in Hermetic Library Reading Room, T Polyphilus: Vigorous Food & Divine Madness, The Golden Dawn Library Project and tagged books, correspondence, ellic howe, F L Gardner, hermetic order of the golden dawn, Reading Room, reviews, T Polyphilus, W A Ayton on May 8, 2014 by John Griogair Bell. You may be interested in Weiser Antiquarian Books Catalogue #116 Israel Regardie and the Hermetic Order of the Golden Dawn, Used and Rare Books. “The majority of the books are from the library of a well-known English book-collector who is downsizing due to chronic lack of shelf (and floor) space. The collection includes most of the standard studies of the Golden Dawn, historical, theoretical and practical, by a variety of well known authors including R. A. Gilbert, Ellic Howe, R. A. Torrens, Chic & Tabatha Cicero, Darcy Kuntz, Pat Zalewski, and others, as well as various works by members of the original Order. Aside from mostly being in pristine condition, the books are distinguished by the fact that many are signed or inscribed by their authors or editors. The catalogues also include a good selection of works by Israel Regardie, whose experience with the Stella Matutina led to the publication of his landmark compilation, The Golden Dawn, An Account of the Teachings, Rites, and Ceremonies of the Hermetic Order of the Golden Dawn, (4 Volumes — 1937–1940), since republished in a variety of different forms and formats. The current catalogue includes a number of books that are signed or inscribed by Israel Regardie including an extraordinary association set of the First Edition of The Golden Dawn, with each volume personally inscribed by Regardie to author and psychical researcher Hereward Carrington and including an additional handwritten note by Regardie. Other Regardie rarities include a copy of his The Enochian Dictionary (Circa 1971?) — which is without doubt one of the earliest of the modern Enochian research publications — and the seldom-seen first edition of The Art of True Healing. A Treatise on the Mechanism Prayer, and the Operation of the Law of Attraction in Nature (1937). As is well known Regardie for some time practised as a chiropractor and psychologist (P. R. Stephensen once unkindly termed him a “quack psychiatrist”) and two of the rarer items are pamphlets relating to this aspect of his career: Cry Havoc (1952), a study of the pitfalls of psychology, psychotherapy, and chiropractic; and the (by modern standards) rather chilling Analysis of a Homosexual (1949), a work in which Regardie recounts the case history of a patient whom he claims to have successfully “cured” of homosexuality. The Golden Dawn Source Book [also, also], Golden Dawn Studies Series Number 2, edited with introduction by Darcy Küntz, preface by R A Gilbert, the 1996 first edition paperback from the Holmes Publishing Group, is part of the collection at the Reading Room. “The author has compiled the most important Golden Dawn letters and articles which illuminates the creation, foundation and growth of the Golden Dawn. This volume contains articles and essays by Ron Heisler, Ellic Howe, Richard Kaczynski, Francis King, Gareth Medway, R.T. Prinke and Gerald Suster. A complete cross-index is compiled for the first time of all Golden Dawn members and their mottoes including members from the Temples in England, New Zealand and North America. ‘From the Ashes of the Cipher Manuscript to the Creation of the Golden Dawn’—an original introduction by Darcy Küntz. ‘A supplement to ‘Providence Unknown’: The Origins of the Golden Dawn’ by R.A. Gilbert, created for this volume. The Early Letters written before the foundation of the Golden Dawn plus the complete Fraülein Sprengel letters as originally translated by Albert Essinger. The Later Golden Dawn Letters written by initiated members, with a special letter from Paul Foster Case to Israel Regardie. THe Published Histories of the Golden Dawn as well as many modern articles and essays on the Order’s Early History. 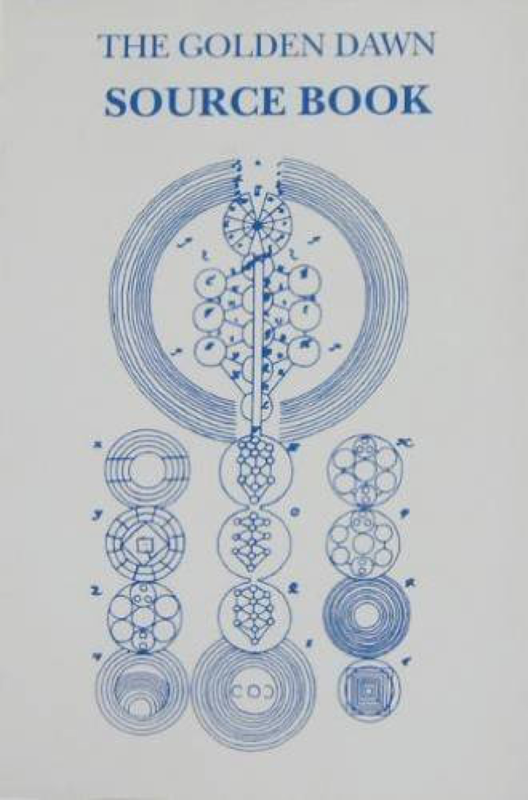 ‘The Golden Dawn Grades and the Tree of Life‘ is just one of the rare illustrations included in this volume. This entry was posted in Hermetic Library Reading Room, The Golden Dawn Library Project, The Vault of William Wynn Westcott and tagged 1996, Albert Essinger, articles, books, darcy kuntz, diaries, ellic howe, Francis King, fraulein sprengel, Gareth Medway, gerald suster, hermetic order of the golden dawn, holmes publishing group, letters, paul foster case, r a gilbert, R T Prinke, Reading Room, richard kaczynski, Ron Heisler, William Wynn Westcott on October 12, 2013 by John Griogair Bell. 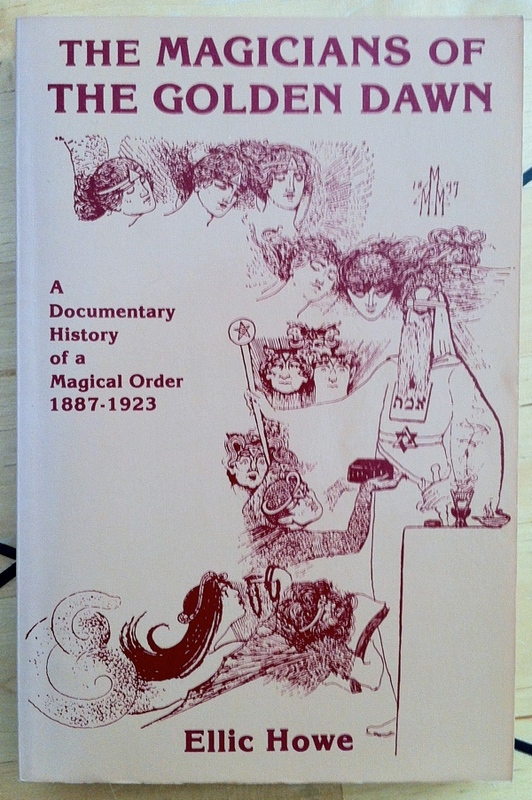 Magicians of the Golden Dawn: A Documentary History of a Magical Order, 1887-1923 by Ellic Howe, with a foreword by Gerald Yorke, the 1984 second printing softcover from Samuel Weiser, is part of the collection at the Reading Room. The Golden Dawn story, with its cast of eccentric characters and its saga of faked documents, mythical ‘Rosicrucian’ adepts, ‘Secret Chiefs’ and bitter internecine quarrels, will delight amateurs of the unusual and fantastic. The Hermetic Order fo the Golden Dawn, whose heyday was during the 1890s, has an almost legendary reputation. Those interested in Ritual Magic and occultism suppose that it represents a preeminent source of authority and knowledge. A wider public has been intrigued by W.B. Yeats’ lengthy connection with the Order, also by the membership of his friends Annie Horniman and Florence Farr. Miss Horniman later built the famous Abbey Theatre at Dublin for him, while Florence Farr was G.B. Shaw’s mistress during her Golden Dawn period. This entry was posted in Florence Farr: The scattered ashes of sacred wisdom, Hermetic Library Reading Room, The Gaeltacht of William Butler Yeats, The Golden Dawn Library Project, The Libri of Aleister Crowley, The Vault of William Wynn Westcott and tagged 1984, aleister crowley, Annie Horniman, Arthur Edward Waite, authority, books, documentary, ellic howe, florence farr, Fraülin Sprengel, Frederick Leigh Gardner, George Bernard Shaw, hermetic order of the golden dawn, internecine quarrels, knowledge, MacGregor Mathers, movements, occult, occultism, order, Reading Room, ritual magic, robert w felkin, rosicrucians, Samuel Weiser, secret chiefs, sects, study, underground, William Alexander Ayton, William Butler Yeats, William Wynn Westcott on October 7, 2013 by John Griogair Bell.